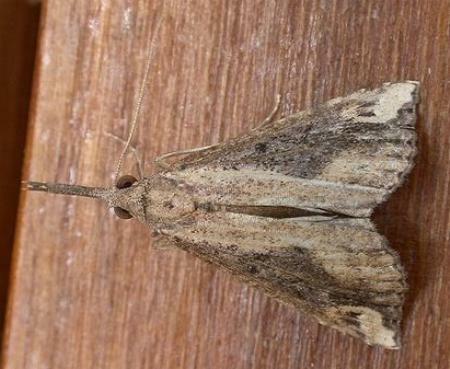 The adult moth is brown with pale patches at the wingtip and along the hind margin of each forewing. The forewings have recurved margins. The wingspan is about 2 cms. The labial palps are long and held in front of the head. Part 16 (1859), p. 66, No. 77.